Our girls have a series of different names. Some are more common than others but each one is special for them. 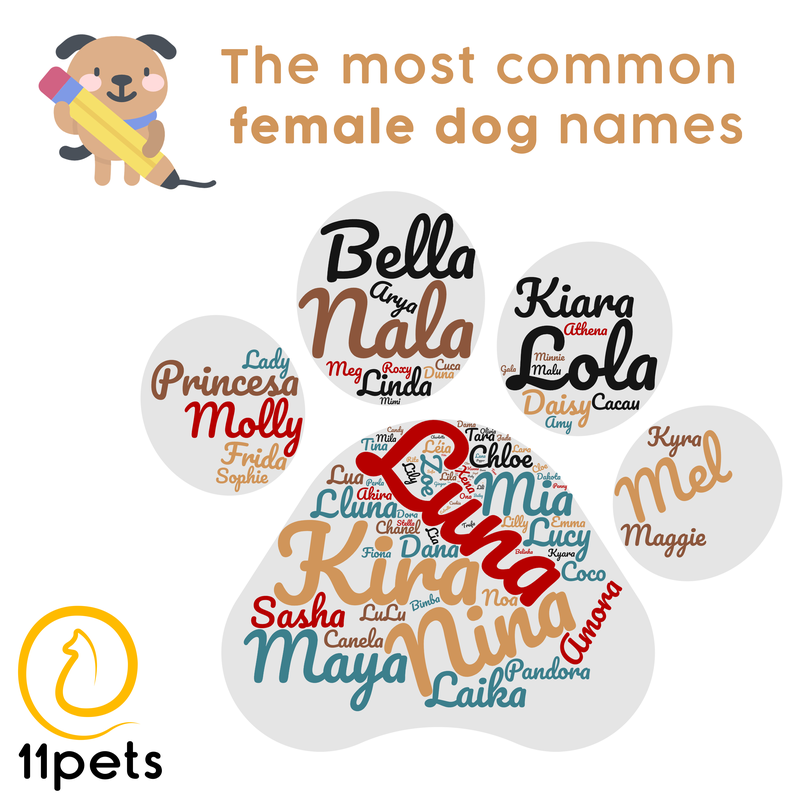 Just check the picture below that was made with the 100 most used names for female dogs.